To achieve a good Check test result (my last one is pictured below) you will need to display a good ability in all Sub Skills, but it is not just to get a good grade, more importantly it is the backbone to become a good instructor. The sub skills are under the three main headings and comprise of the following key skill areas. The ability to identify all the faults committed by the pupil. Clearly, We need to recognise that something has gone wrong before we can fix it! Now you have spotted there is a fault you need to have a complete and accurate analysis of the cause of the fault, or you may give the wrong cure for the problem! You now need to show your ability to give corrective advice and instruction to correct the fault. It is no use identifying a fault if you do not do anything about it! All too often we hear from instructors that tell us firstly they were marked down for under instruction then next time it was over instruction or the other way round and feel there is no pleasing the examiner! You need to know your pupil and deliver the level that is right for them. You need to outline a lesson plan at the start of a lesson so the pupil knows the point of the lesson, remember to recap at the end. You need to remain in control of yourself, the lesson and the learner at all times. It also covers your use of the time allocated to you, so remember a briefing which is too long may go against you as you will not have allocated the time properly within the lesson! Your pupil needs to understand your instruction, your use of language, and your use of jargon. Remember keep it simple! You need to use effective question and answer techniques, both on the move and during the initial briefing. Remember open questions! Feedback and encouragement are very important to learning. All too often we only hear of instructors telling off their pupils, you should be constructive not destructive. They will enjoy their lesson a lot more when you praise them when they do well. The controls should only be used by the instructor only when absolutely necessary, and the pupil should be told when and why they have been used. You should aim to display a professional attitude at all times and try to create a friendly learning environment. No swearing, over familiarity, or unnecessary physical contact with your pupil. You need to creating a good relationship between yourself and the learner by being friendly and helpful. You should display patience but remain in firm control. 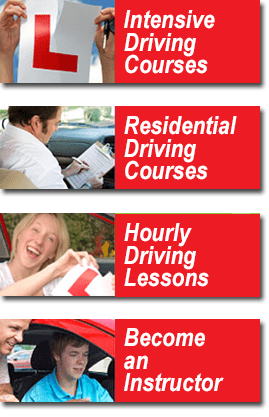 This is just an outline of the sub skills required and if you feel you are lacking in any area then book a course or even just an hour or two with us to improve what is probably the most important part of basic driver training skills. Given on a one-to-one basis by a top grade instructor who has been a grade 6 for the last 20 years! If you are having problems then this could be the best money you will ever spend! Remember too that it is 100% tax deductible! Call us now on 01553 675777 or email us for more details.